Many travelers coming to Argentina for the first time appreciate the option of staying at their favorite name hotel. 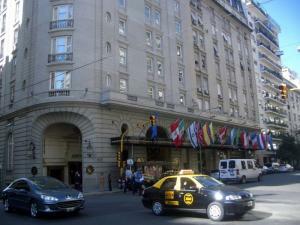 The Sheraton, the Four Seasons, and the Hilton all have high-rise luxury properties in downtown Buenos Aires. However, if you’re staying for more than a few days in Buenos Aires, renting an apartment from an agency is an excellent option to booking a hotel room by the night. Hotel rooms tend to run about half the price you’d pay in a US or European metropolis. There are some great boutique hotels smattered throughout Palermo, Recoleta, and San Telmo including Home, Soho, and Art Hotel that range from $65 to $250 USD per night. There’s the glamorous Faena Hotel for celebrity spotting. A private room at a hostel will run you between $20 and $35 USD. However, for $200-350 you can get a nice one-bedroom apartment for a week’s stay. Whether you’re traveling as an individual or as a family, renting an apartment can really be a boon to your budget. Contacting an agency to find a temporary apartment for rent can be a help or a hindrance, depending upon whom you work with. Land In Argentina and Stay In Buenos Aires are two agencies with bilingual websites that offer apart-hotels in the city by the week or monthly. A friend recently booked an apartment for a week’s stay with Land in Argentina, and found their service to be really helpful. Apartments come replete with amenities from WIFI to cleaning service and cell phone rental. The agent meets you with maps and information, escorts you through the apartment, takes your deposit, and you have your own apartment in Buenos Aires. It’s a great way to feel like a traveler with benefits – like staying with friends but without the claustrophobia of staying in someone’s family home. Locals and foreign landlords alike list apartments direct to tourists via CraigsList. The downside is, of course, not having the security of renting from a business but rather having to go it on faith and negotiate with an individual. An agency can confirm an online reservation with a contract and can offer alternative dates and locations. 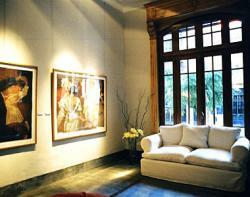 StayinBuenosAires.com, for example, contracts with over two hundred fifty apartments – seventy-five in the neighborhood of San Telmo alone. Renting an apartment for the week has been a popular option in Europe for some time. With tourism in Buenos Aires at an annual growth rate of 15%, savvy investors are taking advantage of the stylish interior design and architecture popular in this new hub of Latin America and they are decking out apartments to rival a top-notch hotel stay. 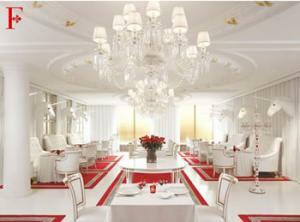 An apart-hotel can be a great alternative to pumping up Paris Hilton’s pocketbook. Opting to rent an apartment through a reputable agency can turn the city into one big hotel with a full menu of amenities. Recoleta is definitely the place to stay in Buenos Aires. For a clean, furnished and affordable Recoleta apartment with a range of desired amenities similar to an apart hotel, I recommend 1054 Apartments – http://www.1054apartments.com. This page rendered in 0.923 seconds.